As you can see from my more regular blog about my Leverhulme Residency at the School of Informatics, Edinburgh University the last couple of months have been busy like unto a bee. I’m particularly delighted to have been selected to take part in the World Event Young Artists showcase in Nottingham this September, an event which brings together 1,000 artists aged 18-30 from over 100 countries for a festival programme that will stretch across artforms, from live music to dance performances, theatrical installations to spoken word, film to visual arts exhibitions and gastronomic events. Three of my pieces have been published in Classifieds: an anthology of prose poetry (Equinox Publishing, 2012). I’ve also been shortlisted for the Charles Pick Fellowship 2012, and the Arts Trust of Scotland have very kindly given me some funding towards an Arvon/NAWE Accredited Training in Coaching Skills for Writers course this summer. Samantha and I continue to work together as two.5 on Dirty Laundry and our latest project, The Peripatetic Studio, has made a flying start with our first month of contributions coming from Helen Limon, Linda France, Claire Askew and Sherezade Garcia Rangel. As part of our Memory/Art/Science public-art piece, Linda France and myself are working on a commission for the British Science Festival 2013; a creative map with the working title The Memory Garden. If all goes to plan then the printed map will be available from June. The website for The Memory Tree should also be launching soon (watch this space). 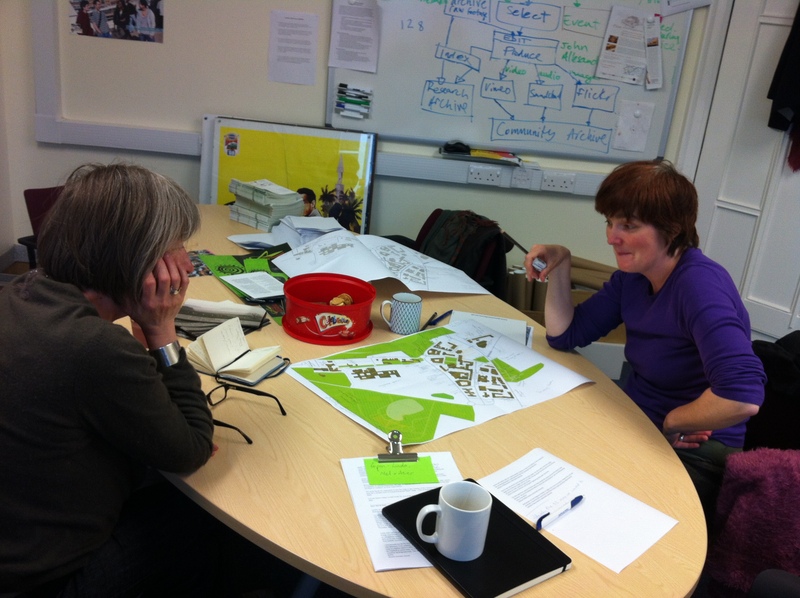 In the photo you can see Linda and half of our excellent design team, Mel, discussing which parts of the university correspond with certain formal elements of a garden. 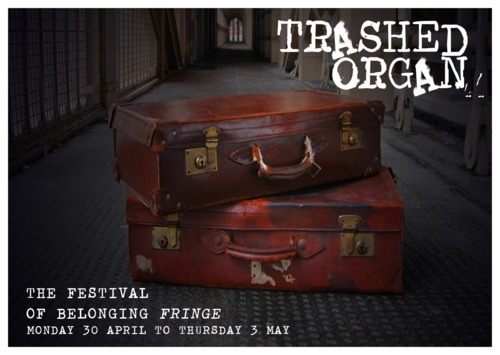 I’m also working on a new collaboration with a fiddle player, Scotty William Albert Hartley, which will be performed next Thursday evening (03/05/2012) at the Bridge Hotel as part of the Trashed Organ Festival of Belonging Fringe Programme. The main NCLA Festival of Belonging then runs 04-16 May, and the full programme is available online. Tickets for both the Trashed Organ and the NCLA events can be bought online, and passes for both sections of the festival are also available. The collaboration is an urban fairytale retelling, currently called ‘Once Upon A Tyne’ and will involve live scoring and possibly some film projection as well as the story itself.